The Irish clothing retailer Primark has announced it is to open its first store in the United States. The shop will open at Downtown Crossing in Boston in September. 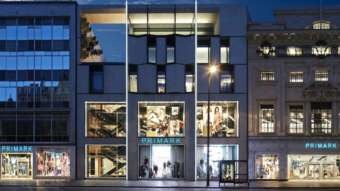 Primark said it planned to open a further seven stores in the USA and had chosen stores that were located close to areas of high-urban density and that would benefit from high levels of existing customer footfall. The firm will use a distribution centre in Pennsylvania. The first store opened in Dublin in the Republic of Ireland in 1969. In 1973, the firm opened its first store in the UK and branched out into Europe in 2006 with the opening of its first shop in Spain. In the Republic of Ireland, the firm trades under the name Penneys. Posted on August 13, 2015, in Other. Bookmark the permalink. Leave a comment.